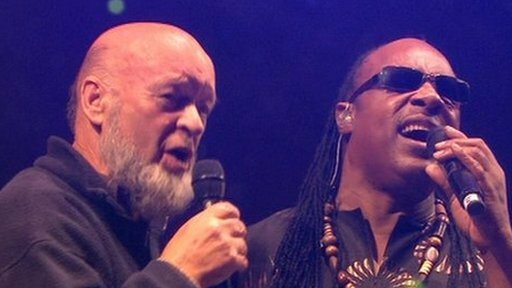 Stevie Wonder was joined on stage by Glastonbury Festival organiser Michael Eavis for a version of Happy Birthday to mark the 40th anniversary of the music event. Festivalgoers this year enjoyed blazing sunshine rather than the customary rain and mud. The festival first took place in 1970, when 1,500 people paid £1 to get in.